Paradise wildfire disaster: California. Drawing comparisons between the factors that caused and contributed to the respective wildfire disasters, across the globe, is easy, and is tangible evidence that the planet, as a whole, is literally feeling the heat attributed to climate change. (Photo Credit: Facebook). “Wildfire raging through the Paradise region in California destroyed more than 6 000 buildings, claimed well over sixty lives and destroyed some 20 000 hectares,” says Cobus Meiring of the Southern Cape Landowners Initiative (SCLI). 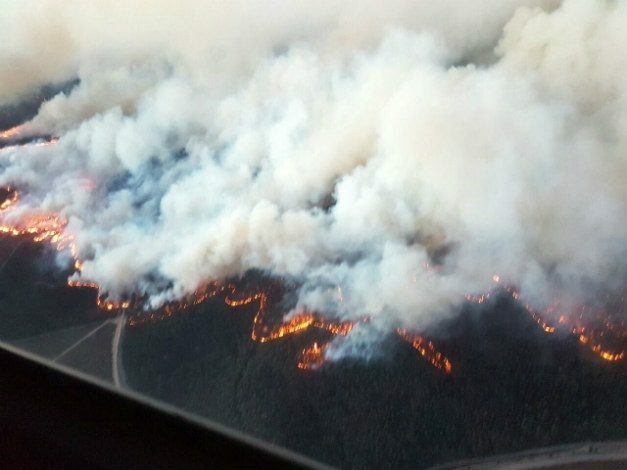 Literally at the same time as the Paradise fires, the Southern Cape lost almost 90 000 hectares, several young lives were lost at Karatara, and invaluable remaining plantations and infrastructure were destroyed. Preceding the recent wildfires, in June 2017, whilst the Knysna fires were still smouldering, deadly fires swept through Portugal and Spain, leaving sixty people dead in a decimated landscape. 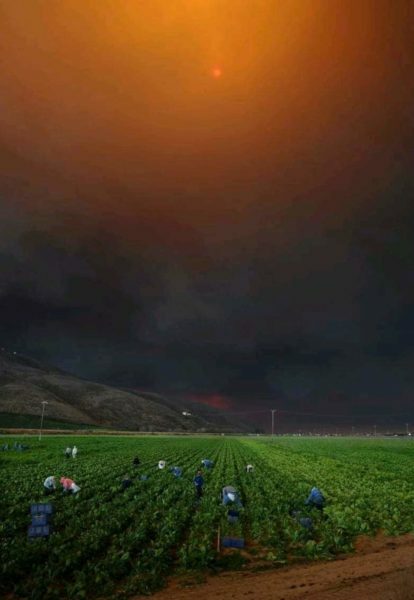 Drawing comparisons between the factors and conditions that caused and contributed to the respective wildfire disasters across the globe is easy and tangible evidence that the planet as a whole is literally feeling the heat, attributed to climate change. “Strong and relentless wind, dry vegetation, unmanaged forests and landscapes, exponential growth of invasive alien plants, human settlements encroaching into forests and wildlands, perpetual drought, reduced and changing rainfall patterns, increased amount of cloudless days and high levels of evaporation, all contribute to setting the scene for more and more wildfire disasters”. 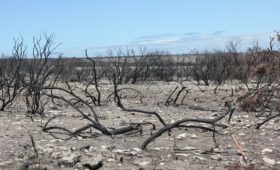 “Acknowledging the effects of climate change, Southern Cape communities are questioning why these kind of disasters are on the increase, and if sufficient pro-active measures are taken to prevent them. 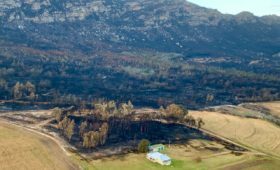 In the past, authorities seemed to be more skilled at managing the occurrence of wildfire in the landscape, through example by making use of well-coordinated fire regimes and block burns, thereby reducing the likelihood of wildfire raging through 90 000 hectares with no end in sight,” continues Meiring. The Southern Cape Landowners Initiative (SCLI) is a public platform for landowners and land managers with an interest in the control and eradication of invasive alien plants. 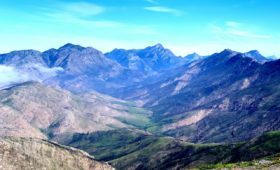 SCLI is a think tank for water stewardship, biodiversity management and climate change, and is supported by the Table Mountain Fund, a subsidiary of WWF SA. 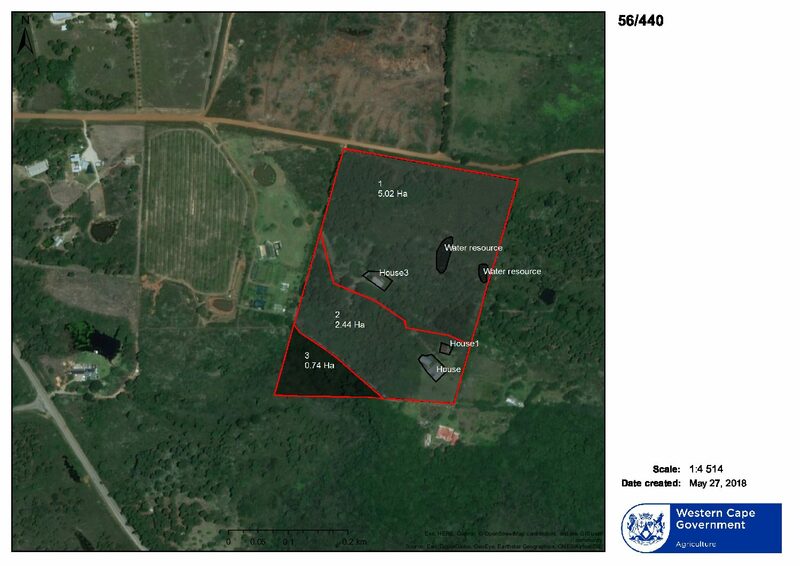 SCLI is also the Secretariat for the Garden Route Environmental Forum (GREF).